From grand opening to imminent closing. 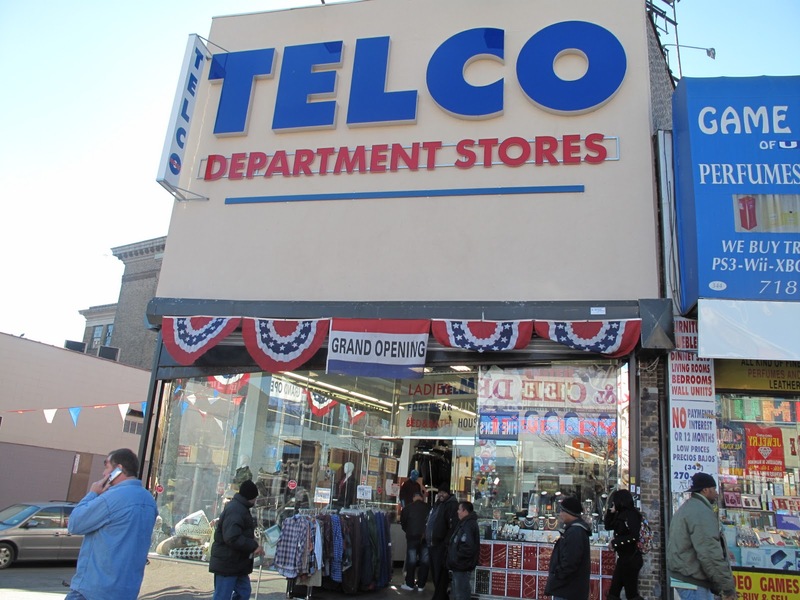 That's the story of Telco department store's brief run on Fordham Road. Started in Bensonhurst, Brooklyn in 1972, Telco has steadily grown into New York City's outer boroughs. The Fordham Road location, which opened about seven months ago, was the company's first Bronx store. It may be it's last. The store's manager said business was slow from the beginning and never picked up. The store, which was busy with customers this afternoon as shoppers, seeing the "liquidation" signs (just three weeks ago, the store was covered in "Grand Opening" signs), finally took notice. Too little, too late. Telco will officially close in about the month or so, the manager said. Well, if you are a commodity, and sell the same exact thing as everything on the same street, you cannot expect to do good. There has to be some kind of unique selling proposition and understanding of the market. Foot traffic and all, you have got to understand who these people are, what their buying motives and how they take action. Having a store where you are not doing much to differentiate yourself regardless is not going to do too well, in my opinion.